Over the course of 125 years, the Hotel Monteleone has been not only a New Orleans landmark, but a tradition. Perfectly perched at the foot of Royal Street, the Monteleone gives guests the best point of departure for all things New Orleans. Visitors need only to step outside this French Quarter hotel to discover world renowned restaurants, shops and more, while Jackson Square, the Old French Market and the River Walk along the Mississippi are just a few cobblestone steps away. At this New Orleans hotel you’ll find history around every corner. Although Hotel Monteleone is an old soul and member of the Historic Hotels of America, she has all the amenities and accolades of a 21st century 4-star hotel. Boasting 25 meeting and reception rooms, 600 newly renovated rooms and suites, two award-winning restaurants, the infamous Carousel Bar , Logo Shop, heated rooftop pool, Spa Aria, state-of-the-art exercise facility, business center, and valet parking. 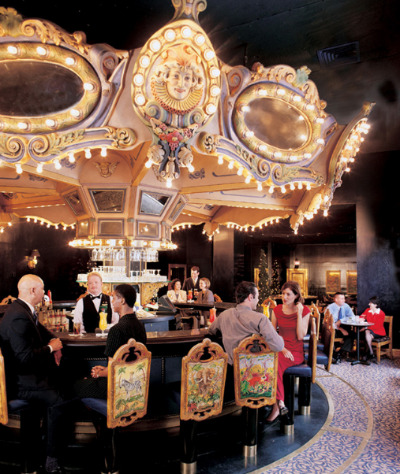 In celebration of Hotel Monteleone’s 125th anniversary, she is currently undergoing renovations to her two restaurants as well as expanding the Carousel Bar. The exciting renovations to the restaurants will boast an “Open Kitchen” concept with private dining capabilities featuring Louisiana specialties. 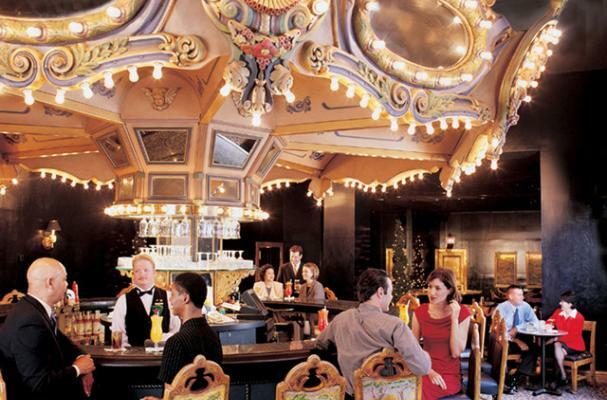 The Carousel Bar itself, is still open and spinning for your sipping pleasure and will soon be accompanied by a crescent shaped bar to accommodate the increased demand. During renovations, we invite you to join us on Facebook as we share photos and updates along the way. In preserving our past, it is our obligation to preserve our hotel for the future and we cannot wait to share our new look with you! Hotel Monteleone holds a special place in the hearts of many tourists and locals alike and looks forward to another 125 years of serving excellence in New Orleans.